This Tricky Logic Riddle is for Kids. In this Logic Riddle there are some Letter and Numbers Logic Equations. Your challenge in this Tricky Logic Riddle is to find the relationship between these letters and number in these given Logic Equation. Lets see if you can decode this hidden relationship and find the value of the missing number which will replace the question mark? Can you solve this Tricky Riddle for Kids? 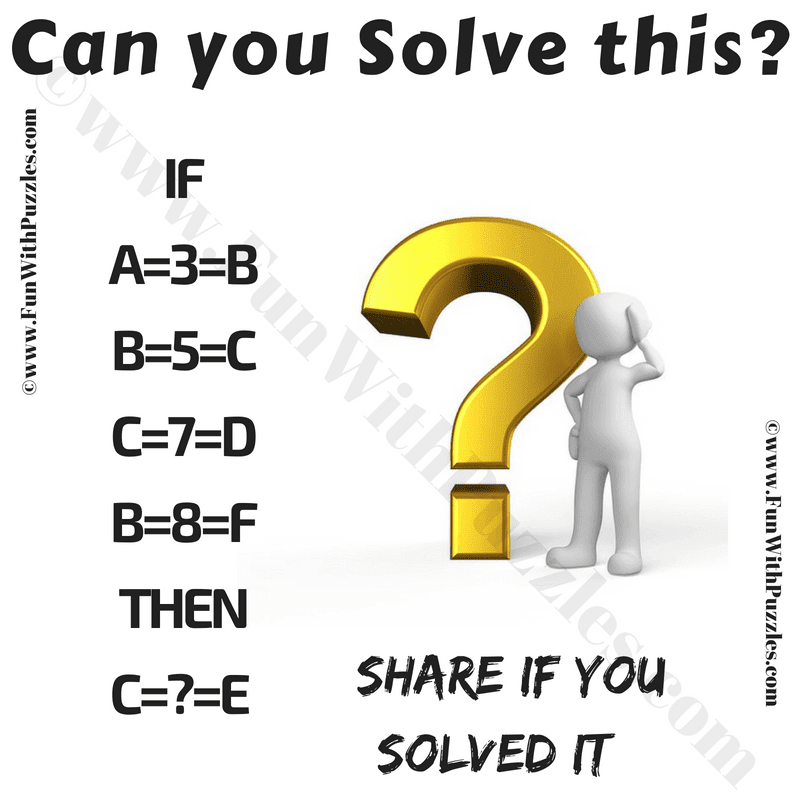 Answer of this "Tricky Logic Riddle for Kids", can be viewed by clicking on answer button. Please do give your best try before looking at the answer. Mark the Alphabets in sequence like A=1, B=2, C=3 and so on. Central number is the sum of the position of the both the alphabets.